There’s a beaten track from our campsite down to the lake. We’ve made the hike a couple of times and I get the feeling I’ve seen some of these rocks before. 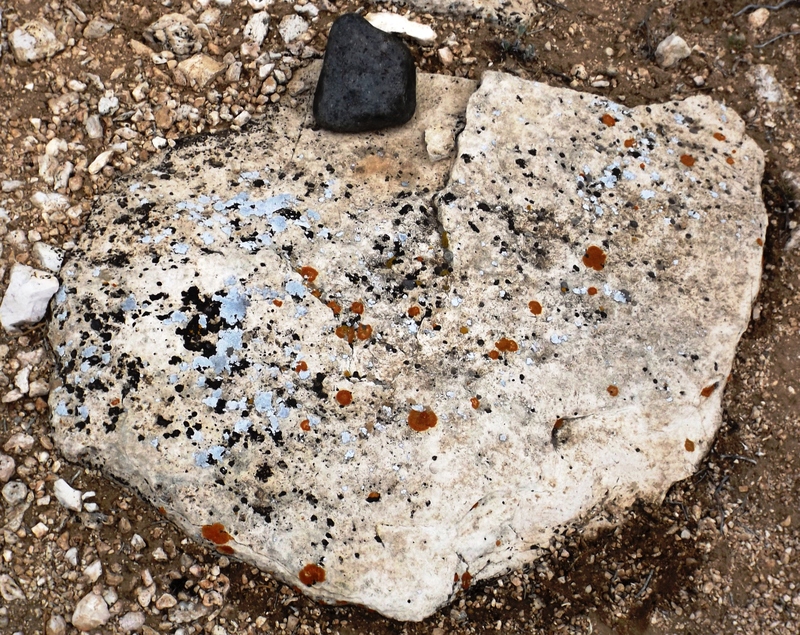 Recognizing strange rocks could be a sign of something wrong upstairs, maybe even advanced age. 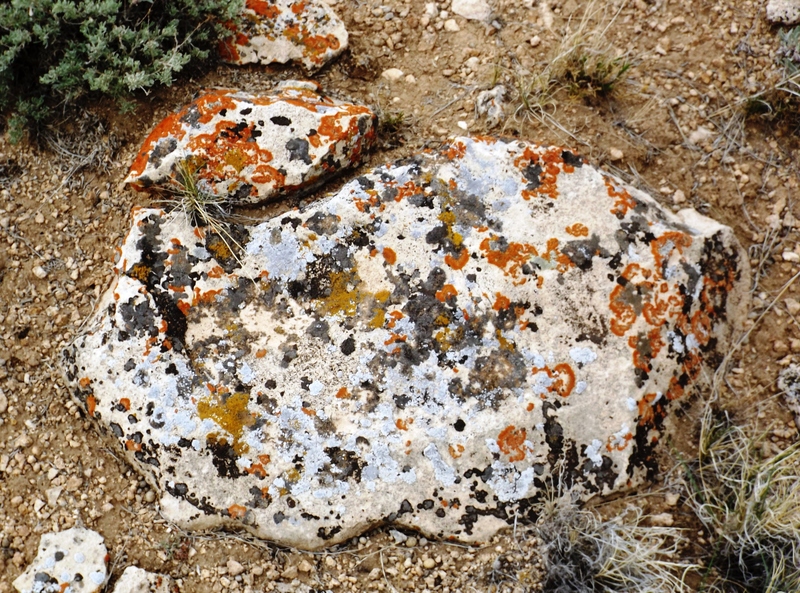 When I realized this, I knew why they were familiar: those rocks look like Jackson Pollock painted them. You know Pollock. He is the paint drip artist, a leading light of the avant garde American art scene of the late 1940’s and early 50’s. My Aunt ‘Ree used his technique to paint her kitchen floor, and from what I recall, she was a pretty good student of The Pollock School, if a bit deficient on the marketing side. 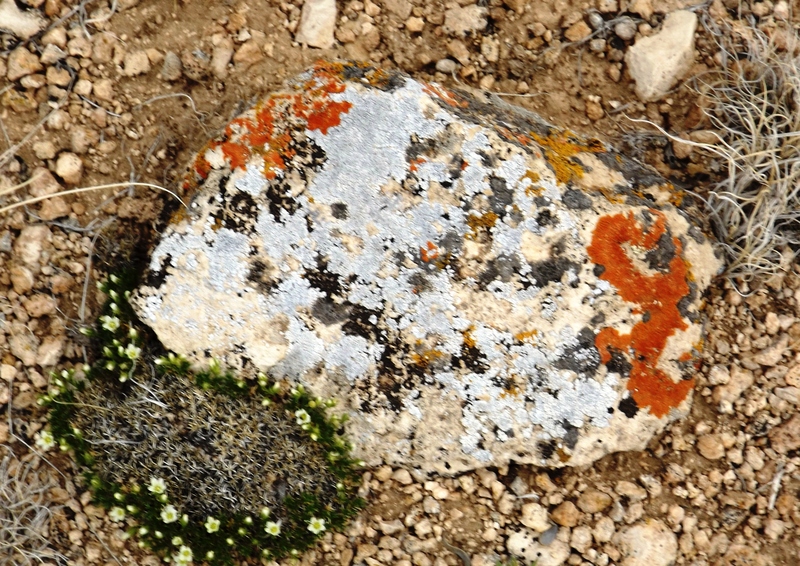 The rock lichens around here tend to be from five dominant species. One is black, another light blue, another orange, one is a soft green, and the other is yellow-gold. And they can co-exist on the same rock, and many cases they do. 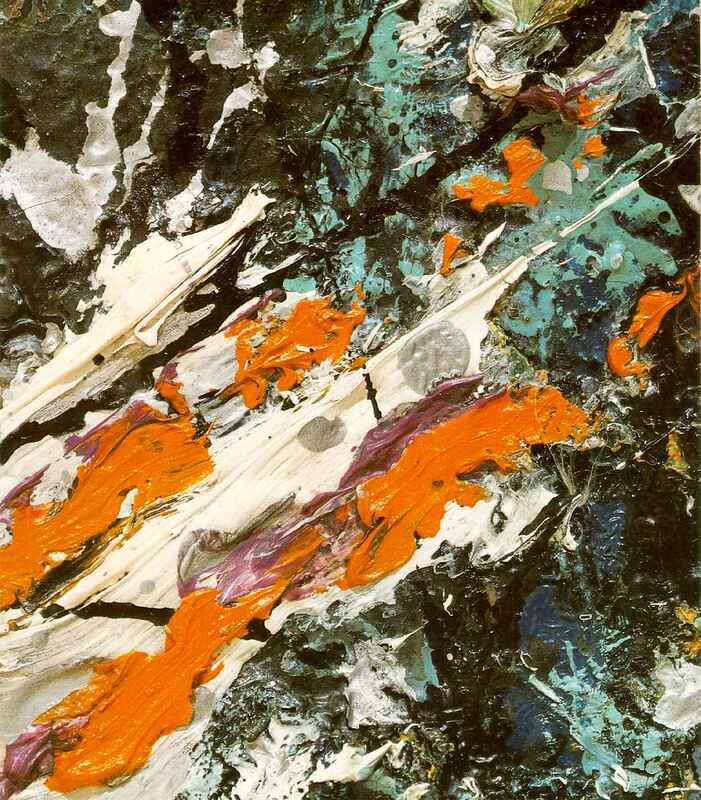 And to deepen the connection to Jackson Pollock, they tend to grow outward from a tiny starting point, often taking the form of a circle or a paint drop. 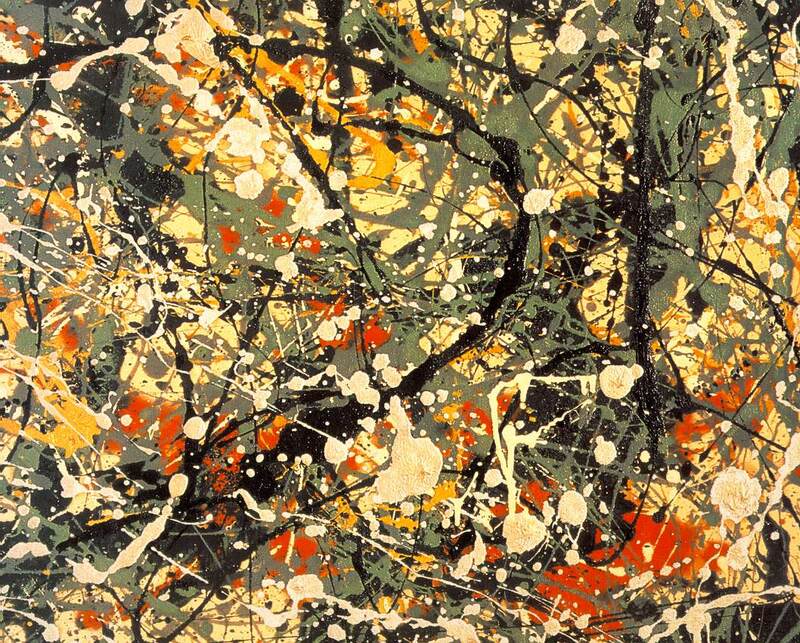 You may know that Pollock hit it big in The Big Apple. You didn’t know that he was born in Cody, Wyoming, a hundred miles from here. 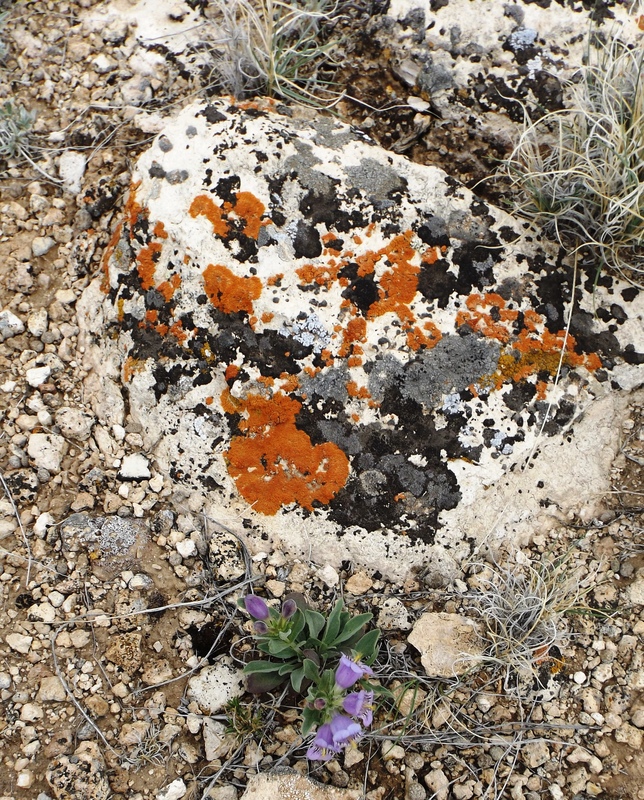 He grew up all over the American west, but it was places like this where he would have come across colorful lichens on canvas colored rocks. Every artist is influenced by the sights he saw coming up. Monet noticed the effects of light. Lautrec loved the bar scene, fellow little people, and the ladies of the evening. Warhol got smacked in the face by modern culture, especially comic books. And I say Jackson Pollock saw these rocks and tried to copy the technique. Paint strings between dots in his art blur the concept, but given the physics of viscosity and gravity, strings are unavoidable if you sling paint. After mastering the technique he expanded his palette, and then he blended the slinging with actual drawing. 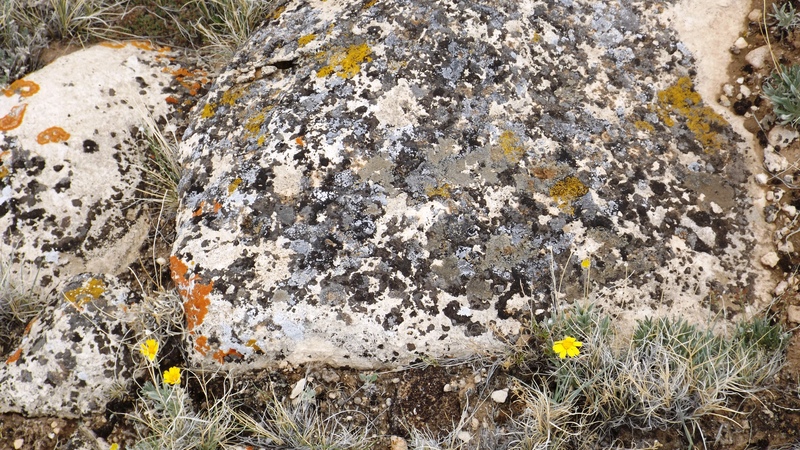 He got his basic idea from the lichens growing on rocks in Wyoming. Is there a PhD thesis in here somewhere? 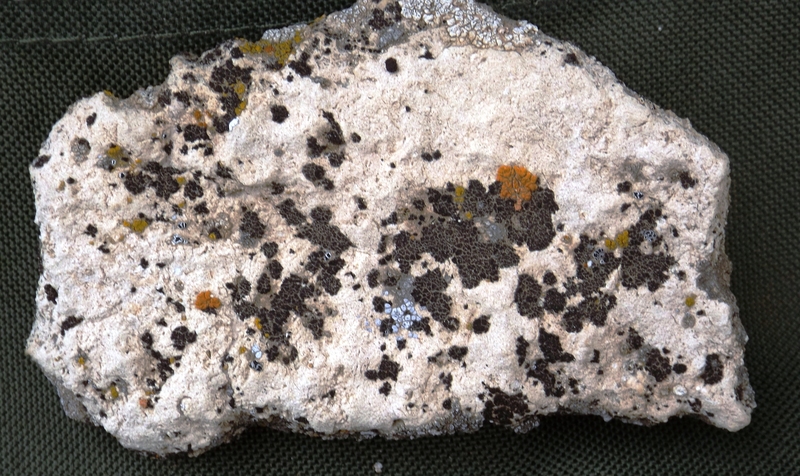 Kat took some lichen on rock pictures. A few of his major works appear here. Try to imagine his earlier works. What do you think?